The Pure Art Boutique is located in the old Leggs building. Its motto is “Shopping with a Purpose” and it collaborates with the Pure Art Foundation to provide education, water, health care and housing in developing countries. Proceeds from the sale of art help support this goal. 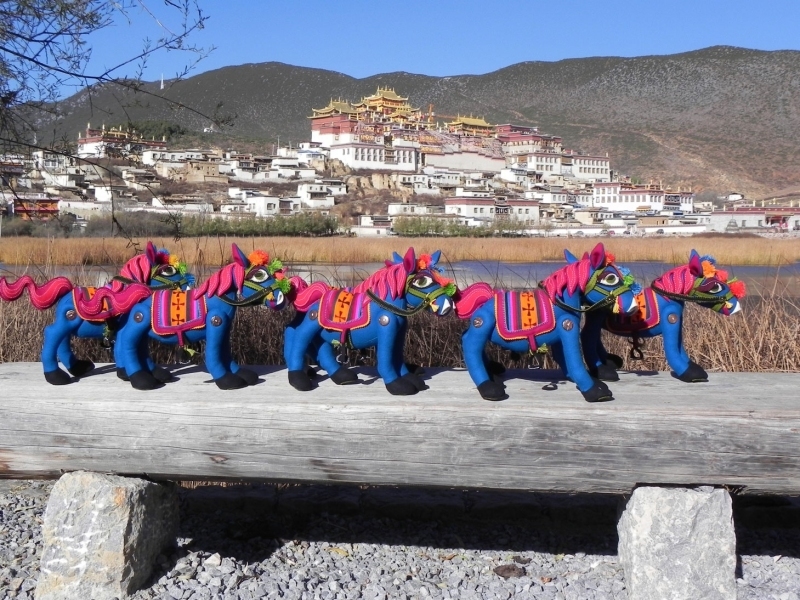 Celebrate the Year of the Horse with true Tibetan culture and engage in a colourful heritage of forgotten lands. Far from the Fair Trade Pure Art Boutique and the charming town of Hudson lies a unique cultural jewel of artistry and unimaginable beauty. In the heart of the old Tibetan quarter in Lhasa, just a ten-minute walk from the Jokhang temple, is the Dropenling Handicraft Center. The Tibetan word "Dropenling" means, "giving back for the betterment of all sentient beings," and Dropenling has achieved its purpose by giving back to hundreds of Tibetan craftspeople all over the Tibet Autonomous Region (TAR). Because it sells crafts made only by Tibetans, Dropenling has been popular with discerning tourists who seek authentic Tibetan crafts such as textiles, painted wood boxes and trays, stone carving, leather bags, jewelry, carpets, dolls and toys. In 2007, purchasers were very pleased to learn that Dropenling had become a self-sustaining business whose profits are re-invested into further support of the Tibetan artisan community. 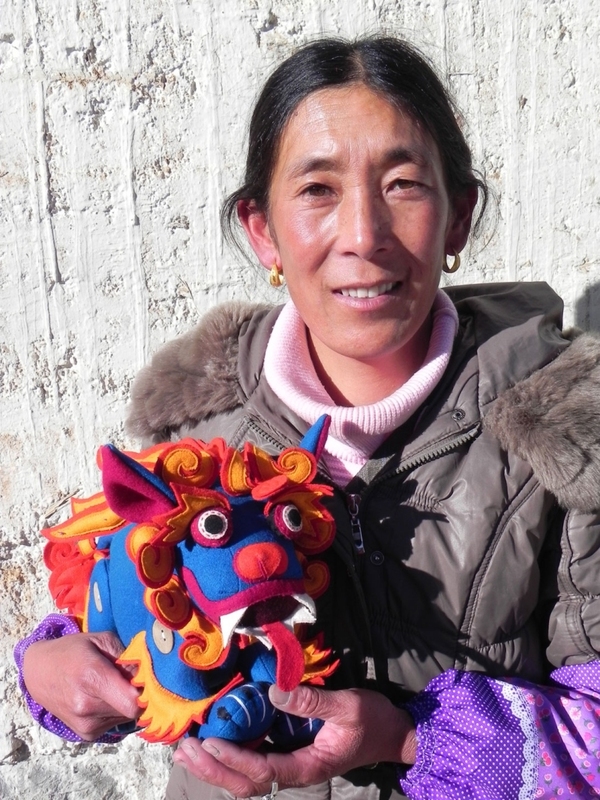 True Tibetan artisans are facing difficulty earning income from their traditional crafts skills. The Dropenling store is the brainchild of the Tibet Artisan Initiative (TAI), a project of the Tibet Poverty Alleviation Fund (TPAF), a non-profit NGO (Non-Governmental Organization). In addition to providing a steady market to Tibetan artisans through the Dropenling store, TAI has developed a number of programs that address problems and issues faced by the artisans today. Tennor, a local Tibetan works closely with the development team, above the studio. He, who also takes care of all raw material purchases, has a special interest in working with leather. He works with three brothers from Chusu, near Lhasa, to bulk purchase yak leather from a local factory. He also designs leather products, such as a suede shoulder bag with an appliquéd Tibetan motif, exclusively available here in Hudson. Important training includes the Doll and Toy making. Tailors develop dolls who wear the clothing from different areas of Tibet in addition to the most unique and lovable snow lion. Through TAI's effort to empower Tibetan artisans, many artisans have gained the knowledge and confidence required to run and expand their own small enterprises. In particular, women master weavers are now hiring other weavers so that they can increase production. TAI has helped the weavers to calculate income and expenses, develop employment policies, plan production, cost products and improve management. This inspiring example of truly sustainable projects, not only sustains the artists, their families and builds community, but also serves to preserve their cultural identity. While there are many sustainable fair trade programs woven into the fabric of the Pure Art Boutique, this exquisite initiative with traditional Tibetan Artists has captured the imagination of many clients and holds a special place in the heart of all those who have come to know about it. The Pure Art Boutique in Hudson is located at 422 Main Road. It is open Mondays through Wednesdays and Saturdays 10 am to 5 pm, Thursday and Fridays 10 am to 6 pm, and Sundays 11 am to 5 pm. Call (450) 458-1115 for more information.